عندما تزور صن شاين كوست, ستشعر أنك في بيتك في منتجع نوسا بلو الذي يقدم لك إقامة متميزة و خدمات عظيمة. يقع مركز المدينة على بعد 0.5 km فقط. ويمكن الوصول إلى المطار خلال 50 دقيقة. 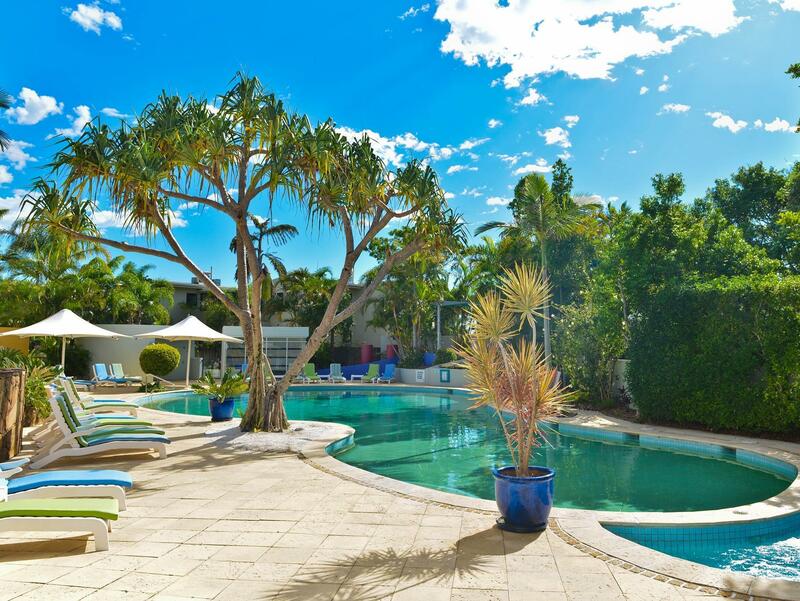 كما يمكن الوصول بسهولة إلى The J Conference Venue, بلازا مفرق نوسا, Noosa Physio Center. إن الخدمات التي يقدمها منتجع نوسا بلو تضمن للنزلاء إقامة مريحة. يقدم الفندق واي فاي مجاني في جميع الغرف, مرافق مخصصة لذوي الاحتياجات الخاصة, تسجيل وصول/خروج سريع, تخزين الأمتعة, واي فاي في المناطق العامة لضمان الراحة القصوى لضيوفه. لقد جهزت هذه الإقامة الفندقية بعناية فائقة لتوفر مستوى عالي من الراحة. في بعض الغرف يجد النزيل تلفزيون بشاشة مسطحة, غرفة معيشة منفصلة, اتصال لاسلكي بالإنترنت, اتصال لاسلكي بشبكة الإنترنت (مجاني), حوض الاسترخاء. يمكنك الاستمتاع بالأجواء المريحة التي تقدمها حوض استحمام ساخن, مركز للياقة البدنية, حمام سباحة خارجي, سبا, مسبح (للأطفال) طوال النهار. إن منتجع نوسا بلو هو خيارك لخدمة الفنادق الراقية في صن شاين كوست. لا يتوافر أسرة إضافية في هذا العقار. العمر الأدنى المطلوب للتمكن من الإقامة في هذا العقار هو 17 سنة/سنوات. For a $400/night we were greeted by other visitors' hair on the walls in the shower and an unpleasant smell from the drain and the toilet. Interior old and outdated, with very used pillows on the sofas. And for some reason bathtub in the bedroom. The bed was comfortable enough and the pool facilities ok. After hours check-in was also a smooth process, however I wouldn't stay again and wouldn't recommend this hotel until a serious reconstruction and change of interior is done. Lovely comfortable room and facilities. You need to be fit enough to walk up and down the hill to the beach. Peaceful location with the best pool, spa and steam room. Hastings Street and Noosa National Park are truly wonderful. We loved our Penthouse suite, location was great - close to beach,Hastings Street and also to town for groceries.! Staff were always helpful and verity friendly. Good breakfast daily with the meal option. Excellent reception staff. Excellent facilities. Unfortunately we didn't have time to use them all. Location is pretty good and central to all the places we wanted to go to. The uphill walk to the resort isn't too bad. The car park was good and there was always a spot. The only negative is the Café which I believe isn't run by the resort....the staff were friendly there and the food was lovely but the service was very very slow and they missed a few things on our order. 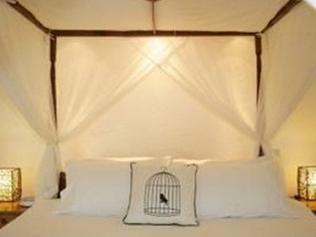 Will definitely re-book for our next trip to Noosa. The staff at Noosa Blue really made our stay. Not only were they helpful and accommodating but they were very understanding to our needs. The penthouse we stayed in was beautiful with great facilities and a great view. I would definitely come back here next time I am in Noosa. Amazing resort to stay in pictures don't do this place justice, friendly and very accodaring staff. We arrived shortly after 10am and they held our bags whilst we went and had a stroll along hasting street, we were then informed when our room was ready which was well before check in time; as well as arranging late check out and holding our bags again for a few hours when we were checking out. Amenities at the resort were outstanding great pool area right next to the bar/cafe, even with a water slide and spa which was lovely along with a good gym. Our room had its own private courtyard which just made the whole apartment even better to stay in. Close walk to either Hasting Street or the shops near Coles. Would definitely recommend staying here and will book again for sure. My boyfriend and I spent my 30th birthday weekend at Noosa Blue Resort. It was a great choice!! Friendly staffs, good location, great food, clean, specious, everything was perfect. Thank you so much guys!! It became one of the best trip of my life. Good but Bar and Restaurant not open to entertain friends.However good pub across the road. Up a big hill from the beach they dint tel you about, cafe closed at night, no bar, no one on reception, no life! Perched just up the hill the resort is still in easy walking distance to Hastings Street or ask the amazing team on reception and they will drive you down in their bright blue Jeep!! We had a Premium Penthouse and what can I say.... It was superb. The roof top area was fabulous. The spa, the bbq, the sun lounges!! It was all perfectly positioned to get all day sun or easily escape under the shade of the massive umbrella or roof top!! The room itself was also great - very spacious and well appointed with a kitchenette and laundry. We couldn't really fault the room at all. The staff on reception were so friendly and helpful. From the moment we walked in you were met with a welcoming smile and greeting and nothing was ever a hassle. Just what you want when on holidays. 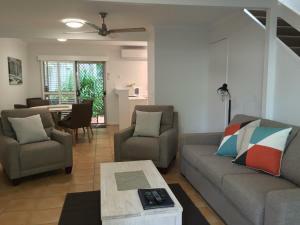 We will definitely be back to Noosa Blue where we go back to Noosa, I can't stay anywhere else now. No wardrobe, no hangers. No manuals for any appliances, even the maintenance man couldn't work the washer/dryer only on dry....needed to dry towels because the weather was bad an roo only serviced on 4 the day Blu Ray remote on coffee table, but not told that the player is in A high cupboard not easy to find. Bathroom light switch is on the far wall so of a night you need to light up the whole room to get there safely. 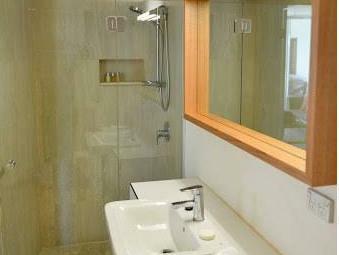 no fan in bathroom so purchase of spray necessary and mirrors are fogged. No hook in bathroom for nightwear etc that you take off before showering and toilet roll holder too far back, you need to turn your arm inside out to reach it. Miserly with toiletries and kitchen items. 2 people get 4 teabags, 4 coffee sachets & 6 sugars (more can be purchased)!!! We stayed in the penthouse. Was a great stay, facilities were great, our jacuzzi on the rooftop was leaking water but we were still able to use it after we topped her up with water. The cafe down stairs has great coffee and cakes, we had a cocktail and chips by the pool but both were really average. We will be back for sure as it is a great place to stay. 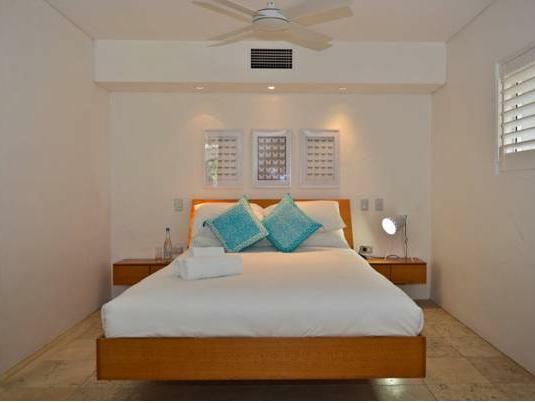 Fantastic place to stay to unwind in luxury and plenty to see and do in the immediate and nearby areas.